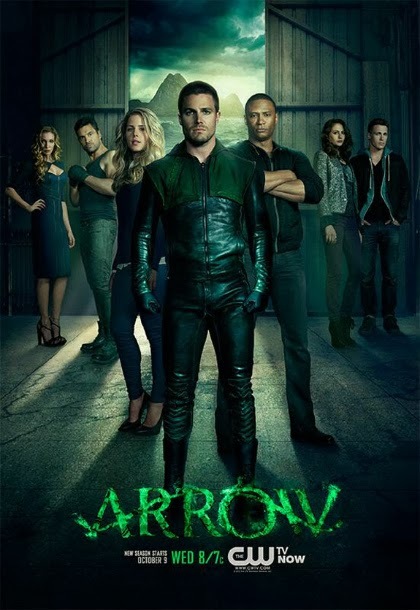 Arrow is, by and large, the best of DC CW TV. iZombie doesn’t count, that’s from Vertigo. 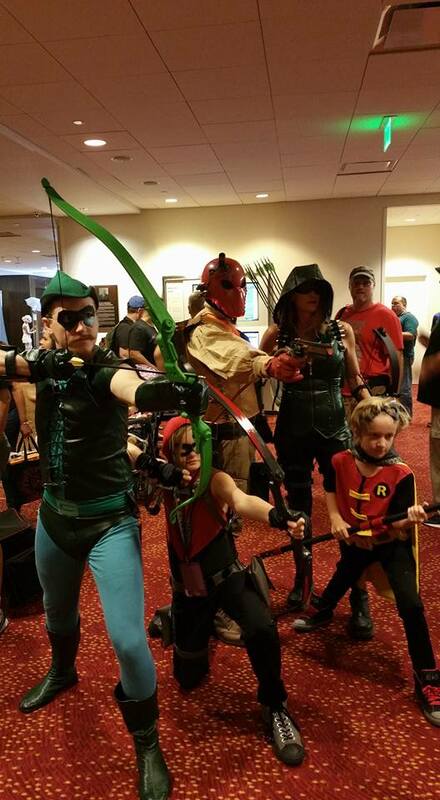 When our season opens, Oliver Queen must put together a team of heroes, since he lost his last one to retirement. They include Mad Dog (a more recent character, from the 80s comics), and Mister Terrific (a REALLY classic DC character), Artemis (a recent favorite from Young Justice et al), and eventually Ragman (also classic). ….For inexplicable reasons, Mad Dog has become Hispanic and Mr. Terrific is gay and black — and neither impact the plot or the writing, which is both a blessing and frustration. It’s a blessing in that they aren’t harping on identity politics; it’s frustrating in that they changed the characters just to check box that they have characters who are gay, black, and Hispanic. It’s just head scratching, but I guess it’s generally inoffensive. It’s just odd. Our season-long killer this year is Prometheus, a DC villain who, in the comics, mimics the fighting style of anyone he chooses. Sort of the DC version of Taskmaster, only the DC version needs a magic helmet. (Spear and Magic Helmet? Heh. Magic Helmet….). But the CW Prometheus is more of a mystery. Does he have this helmet? Not that I can tell. Can he mimic anyone? No clue. The only thing I know about him is that he sounds a lot like Michael Dorn. Which is interesting, because by Christmas, we’ve usually been introduced by the primary villain of the season, complete with all of the reveals behind who he is, and what his motivation is. It’s an interesting break in pattern. Overall, I like what they’re doing. The plot switches back and forth from the overarching storyline, to the villain of the week. It’s nice and evenly paced. I wish the Flash would figure out how to do the same. I even like the flashbacks, mostly because we’re off that freaking island already. God did I hate that island. By season three and four, I started hating the flashbacks, but I think the writers started to do the same — they cut back on the flashbacks a lot in those seasons. Right now, I’m good with them. This is also nowhere near as dark and depressing as the last two seasons. And I’m happy with it. My major problem with this season is … they’re still doing flashbacks. At all. Right now, they’ve cut down a lot on the angsty crap. If a problem is uncovered in one episode, it’s usually resolved within one episode. For the most part, their days of constantly harping on a lie, or a misunderstanding, or something else, seems to be long gone. The Christmas episode concluded with Prometheus setting up Green Arrow into killing a cop, mostly by dressing him up like Prometheus. The cop happens to be Felicity’s boyfriend. She doesn’t go after Oliver, or attack him, verbally or otherwise. She has a reasonable reaction. She just cries. So, yeah. I’ll take it. If you haven’t already, check out some of the books below. This entry was posted in Fiction, Reviews, Superhero and tagged Arrow, DC, DC Comics, television. Bookmark the permalink. Mr Terrific has been black ever since the character was revived in the ’90s. He definitely wasn’t gay, since guilt over the death of his wife was a major aspect of his backstory. They gave him a different name in the show though (Curtis Holt, not Michael Holt), so I can accept that this version is supposed to be a slightly different character. Good to know. You sure it was the 90s though? I remember he was dead during the Starman run.